Turning radius 1600mm only, can be operated in 2.3 meter width aisle. 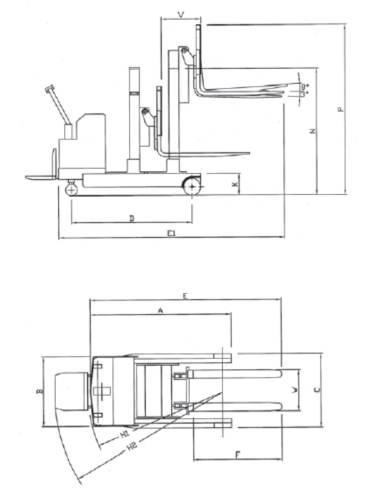 3 sets of hydraulic systems lifting/tilting/reaching. 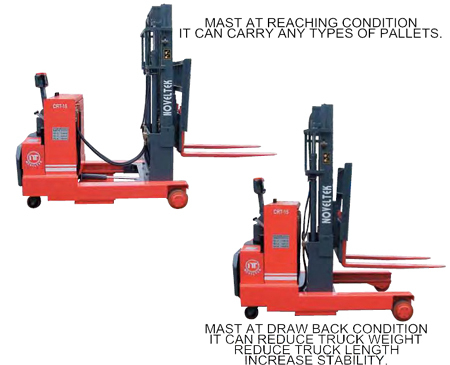 Mast draw back can reduce truck weight, reduce truck length,increase stability. 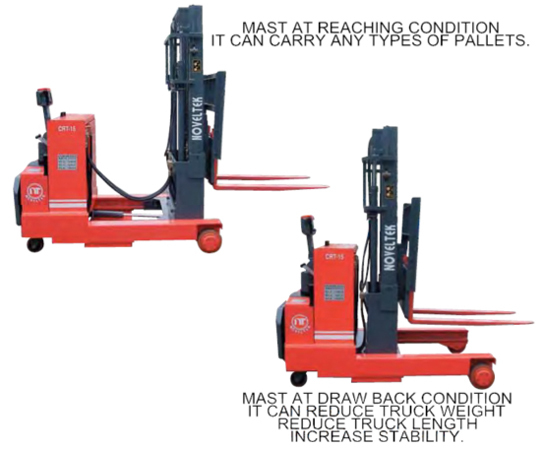 Controlled by steering arm, the operators do not need forklift truck driver's license. Use adjustable width forged forks,can handle any types of pallets. Lead-free pu baked enamel painting. Load wheel diameter is 212mm can be used for ramp, elevator etc. Wide view mast can be easily see through. Very easy drive, easy handle direction. Shaft type forged forks are available as optional. It is very good into an elevator.